If you could choose one historical person that your children knew everything about, who would it be? I know this sounds like the “Sunday School answer,” but for me, the person would be Jesus. More than anything, I hope to instill in my kids a love for Christ, a longing to know everything about Him, who He is, and what He has done. 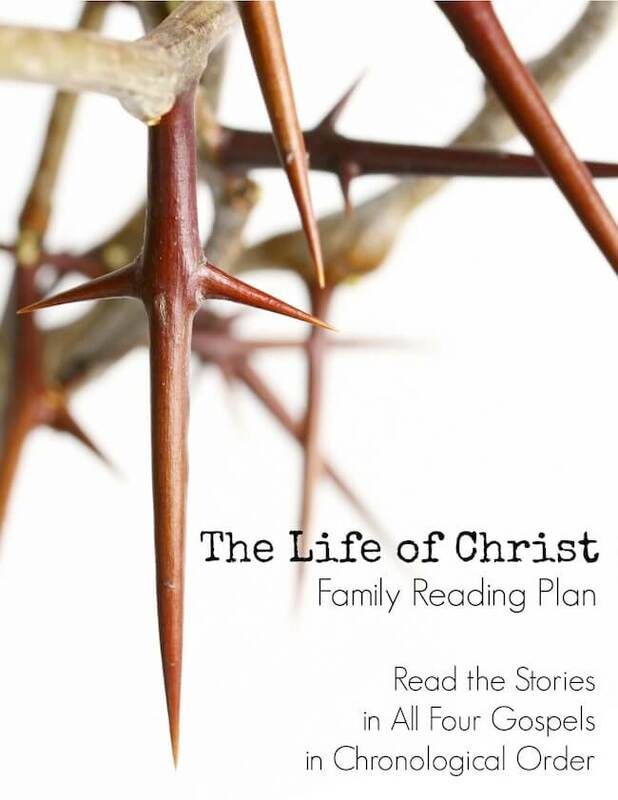 The time between Christmas and Resurrection Sunday offers a perfect time for families to read the stories from Jesus’ life. Right after we celebrate the birth of Christ, it make sense that we continue the story leading up to His death and resurrection. Whether you do it only one year, or you make it a tradition several years in a row, taking time to walk your kids through the life of Christ—scene by scene, story by story—gives you a perfect opportunity to teach them about the Son of God in all his greatness. You could, of course, read through each Gospel one at a time. But you can also choose to read all four Gospels in parallel, giving your children a comprehensive picture of Christ’s life. Stories written in the four Gospels are not always in chronological order, and in several instances there is considerable overlap and repetition among the Gospels. As much as I want to teach my children about the unique perspectives of Matthew, Mark, Luke, and John, I also want them to get a sense of the whole of Christ’s life from beginning to end. This is why I created The Life of Christ Family Reading Plan. 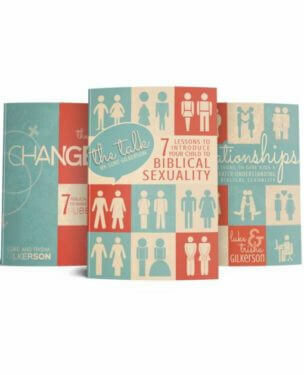 This Bible reading plan rearranges the stories from all four Gospels in chronological order. In instances where more than one Gospel tells the same story, only one Gospel account is listed (usually the account that is the most thorough). 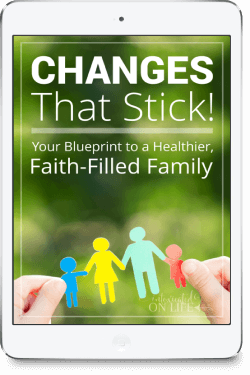 This plan is designed for doing five readings per week. (For instance, you can do one per weekday and use the weekends to review or catch up). The reading plan is designed to start at the beginning of January. The reading plan is designed to end the week of Good Friday. A bonus week is added for the week of Easter, featuring the stories of Christ’s resurrection. The date of Easter changes every year. In the Western church, Easter always falls on the first Sunday after the First Full Moon after March 20. This means Easter can be as early as March 22 and as late as April 25. Because the time between January 1 and Easter varies from year to year, I’ve provided four different reading schedules to accommodate (a 12-week plan, a 13-week plan, a 14-week plan, and a 15-week plan). I’ve also included a guide so you know which plan to use each year. You can download the reading plan in our store. You’re welcome! I hope your family enjoys it! Tried ordering your reading plan, had to put credit card info in and then there was no place to put the code. I’m at the Review your information page and the only choice I have is a pay now button. No place to put freeplan2014. In the navigation menu you should see “Your Cart.” Click that. To the left of the “Update Cart” and “Proceed to Checkout” buttons should be a field: “Apply Coupon.” Add the coupon code there and press “Update Cart.” That should do it. I placed my order and it does not allow the PDF to download. Please let me know how to correct this. Very excited to start this! I’ll send you an e-mail with the PDF. Must be a temporary glitch in the store. Sorry about that. Could you email me a copy, too? I bought the download on my iPad, but have no is where the download is?!? Hi Sarah, An email is automatically sent to you with a link to download. IF you don’t see it in your email, be sure to check your spam and promotions folders. Hmm. Haven’t heard that one yet. I’ll look into the making it compatible. Sorry about that. Sharing on BBAD! Love, love this! Thank you! I love this! We’ve read it together for the last 2 nights. It’s the perfect ending to our day. Our 5 boys are so excited about it and they take turns reading verses. Thank you for making it available for free! We really appreciate it! This looks really interesting! A wonderful tool to teach children the Bible. Thank you for doing it and letting people have it for free. Just sent you an email with details about to get the books you bought. Thanks for your patience.